Beside Omis, Duce is one of the most popular places on Omis riviera. Their popularity is mostly owed to the beautiful long sandy beach which stretches along the entire place. In fact, both Croatian and foreign tourists are used to the mostly pebbly and rocky coast of the Adriatic, with rare sand oases. That is why Duce are a real tourist hit, which is best seen during summer when they are crowded with bathers. Sand is brought to Duce by river Cetina that runs into the sea in Omis and continuously restores sand banks. The beach is 4km long, surrounded by pines and tamarisk trees that make great shade, and there are many bars beach facilities on the beach. It makes Duce an ideal place for having fun in the sun, sea and sand all day long. 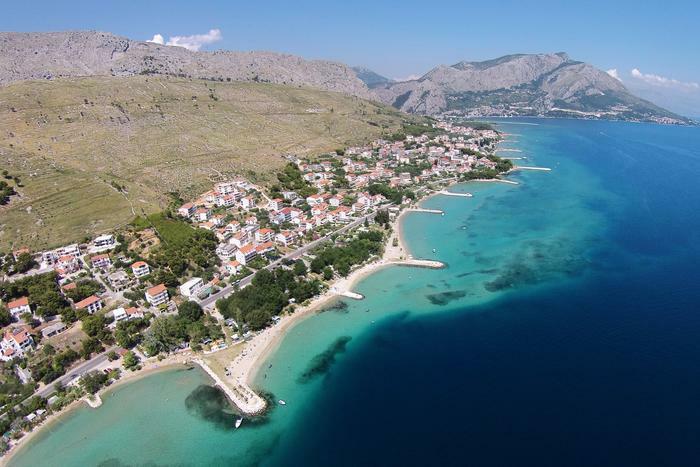 When fun day on Duce beach comes to an end, Omis awaits bathers and guests with its gastronomic and cultural offer.